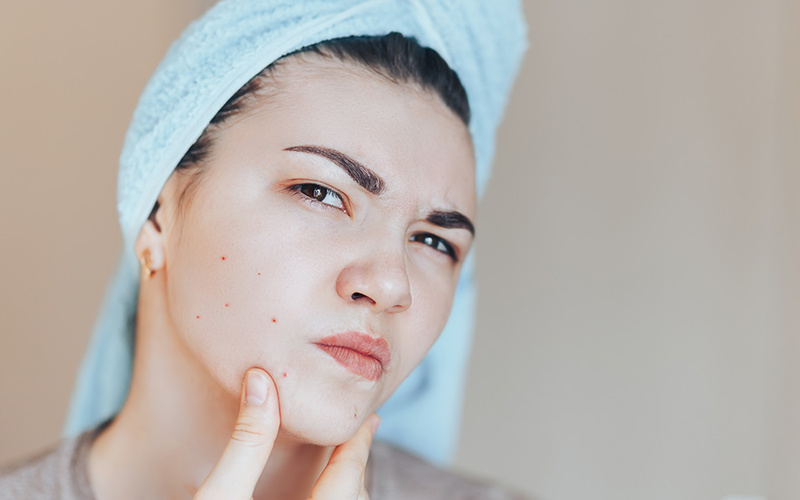 Can CBD Help With Hormonal Acne? Many people are asking whether CBD can help with hormonal acne. The recent legalization of CBD in some countries has opened it up to proper scientific investigation and for regular consumers to investigate for themselves. This is a hopeful time for people who are wanting a safe, reliable, natural and non-toxic way of treating acne. CBD is cannabidiol, a chemical found naturally in the cannabis plant. Because this is where it is isolated from, it has been grouped in with the rest of the plant and made illegal for many years. This is, in retrospect, a massive disappointment. The drug itself is extremely safe, has no psychoactive (affecting the mind) effects, and appears to be successful in treating many different conditions. It is a shame it was made illegal, and continues to be illegal, due to a complete misinterpretation of the risks of cannabis. There are some states in the United States in which medical cannabis is legal, and CBD can be obtained from dispensaries there. In some countries in Europe and Australasia it has also been legalized or regulated like a normal drug. Unfortunately, the science has not quite caught up with CBD or the rest of the cannabis plant. It remains something that is difficult to study, so the studies that are completed are generally small in scale and of dubious scientific value. 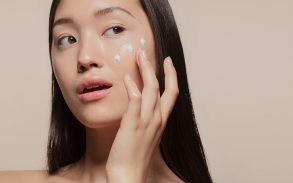 What Does CBD Do for Acne? 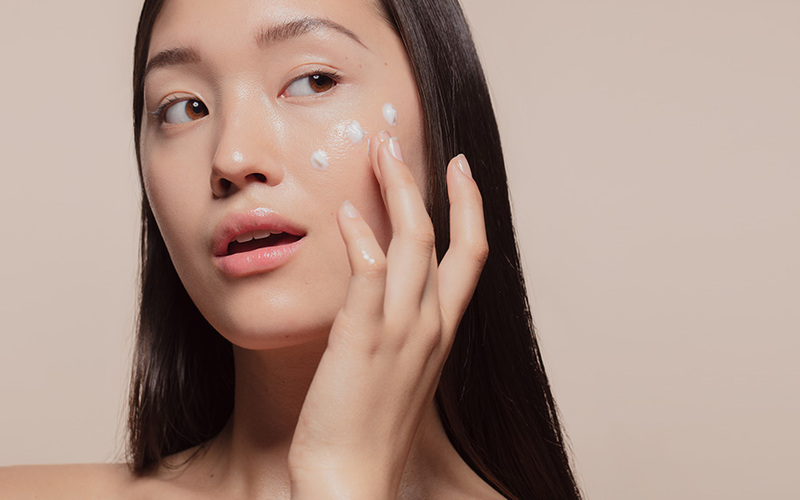 To treat acne, CBD does a variety of things. Acne is caused in a large part by oily skin. This is usually the result of glands in the skin, the sebocytes, producing too much oil. In adolescent acne, this excessive oil production is usually down to the hormonal changes that occur during puberty, meaning there is a higher level of testosterone or estrogen in the blood. This can cause the sebaceous glands to produce lots of sebum oil and fatty acids, which collects in pores. Dead skin cells then accumulate and provide plenty of food for bacteria. These grow, the body notices and mounts an immune response. It is this immune response that causes the itching, redness, swelling and soreness that comes with acne. The effect of CBD is that it alters the production of the sebocytes, making them produce less oil. With less oil, there are fewer blocked pores and therefore less acne. This effect has so far only been demonstrated in a laboratory, but it does appear to ring true with a lot of anecdotal evidence. Another effect of CBD is that it is an anti-inflammatory. Many different skin conditions cause an inflammatory response, least of all acne. CBD can help significantly reduce inflammation. When the inflammation is reduced, so is the itching, pain and swelling. This helps prevent further infection by scratching, reduces the likelihood of scarring, and improves the appearance and feelings of the person suffering from acne. One of the major ways of treating hormonal acne in females is to use the birth control pill. This alters the estrogen content of the blood and puts the body’s fertility cycle on hold. This has the effect of reducing acne problems as the sebaceous glands are told to produce less oil by the hormones. 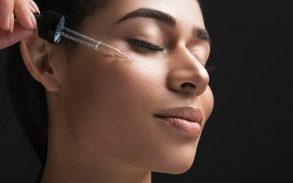 It is a fairly extreme way to treat acne, however, and the long term effects of teenage girls using birth control pills when they are still developing is yet to be established. The most obvious disadvantage of this treatment is that it is only available to females, there is no equivalent for males. CBD can help with hormonal acne in a couple of different ways. By being applied topically directly to the skin, CBD (maybe in the form of hemp oil) can help reduce the influence of the hormones by mediating the sebaceous glands. The other way that CBD can help with hormonal acne is by reducing stress. The mood stabilizing effects of cannabidiol are well known if not well understood. A small dose of CBD could help a stressed-out teenager feel calmer and therefore regulate their hormones more efficiently. This has not been studied properly but it looks to be an exciting avenue for research. 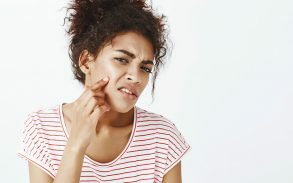 There are currently dozens of investigations into CBD around the world, and some of them are for acne. It cannot be reassuring to the reader to know that so little is known about CBD, but what is known is definitely reassuring. CBD has been found to be non-toxic, easily tolerable, to have few side effects, and to make a substantial difference to many medical conditions. Hopefully, at some point in the future, the exact mechanisms for treating acne of all types with CBD will be known, but for now, it is up to the user to experiment and discover for themselves whether it is effective or not. Click here to learn more about the different types of acne. CBD oil is the most commonly used form of CBD. It’s acne fighting properties and the absence of negative side effects make it ideal for anyone suffering with hormonal acne. It is available online or through your doctor, and should only be bought in a pure CBD form, not with THC (the psychoactive part of the cannabis plant). Applying CBD directly to the acne can be very effective. Just dab on pure CBD to freshly cleaned and dried skin and leave to dry naturally. Make this a part of your daily skin care regime and you are very likely to see positive results. If this does not suit, mixing CBD with a topical cream can be an equally effective option. Hormonal acne is a serious condition that should be addressed by a doctor. Acne can cause life-long scars (emotionally and physically) and is one of the leading reasons teenagers feel bad about their appearance. CBD can be effective, but when there is risk of scarring or the condition is particularly severe, more proven treatments should be used. CBD remains illegal in many parts of the world. It should never be used if it is illegal, and even where it is legal, it should only be used in consultation with your doctor. The concerns about the scientific literature have not been enough to prevent it from being prescribed by many doctors, mainly due to the low risk of anything going wrong and the possibility of health benefits.